This weekend the biggest televised event of the year takes place when the New England Patriots face the Philadelphia Eagle in the Super Bowl. But for some of us whose team never had a chance at the big game (Next year, Chicago. Next year...), the night is all about the trailers and TV spots, as studios will spend big bucks to get their latest projects in front of the most eyes possible. 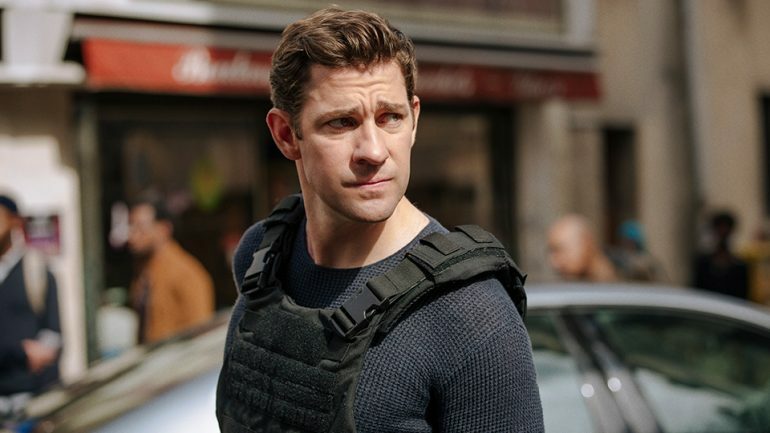 With so little room in the busy nigh to stand out, Amazon has taken the step to just release their Super Bowl spot for Tom Clancy's Jack Ryan now. Why wait? You can hear the words of great historical figures like Barack Obama, John F. Kennedy, and *grumble* Ronald Reagan, setting an atmosphere of patriotism and defiance in the face of our enemies. It's a good way to go, and suddenly my interest in this show is piqued when I couldn't care less before. Tom Clancy's Jack Ryan hits Amazon on August 31st, with the pilot episode directed by Morten Tyldum.